You know that company that builds all your electronics? The one that makes your iPhone and your Xbox and your Kindle and has to install anti-suicide nets to deter miserable workers from ending their lives? 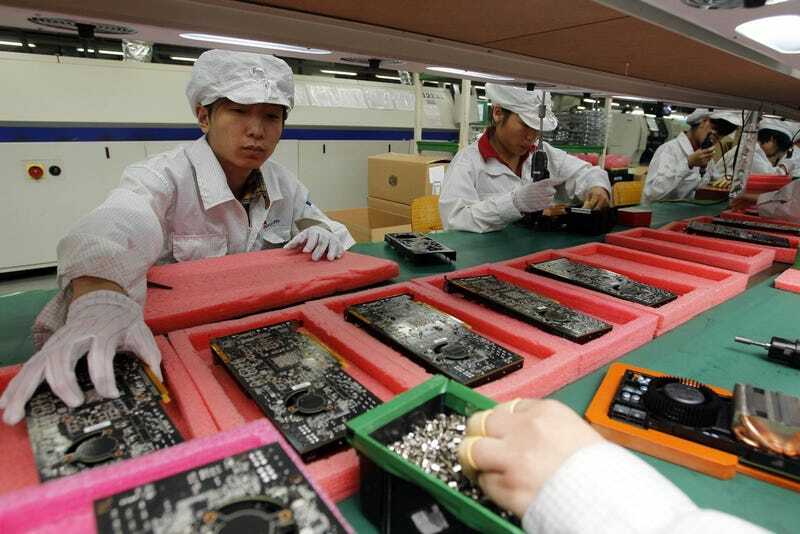 It’s a company known to Americans as Foxconn, and it’s the 10th largest employer in the world. The list of the top 10 largest employers is actually a pretty useful snapshot for explaining the state of the world today. It shows our collective values and how things are prioritized here in the early 21st century. What are our priorities, according to that list? Guns, fast food, oil, transportation, and gadgets. The US Department of Defense is the largest employer in the world, with roughly 3.2 million people taking a paycheck from the American military. The second largest employer? The Chinese military. The full list is below and comes from the World Economic Forum.